In my last AtMousePhere article, we covered the music of Future World West. That area of Epcot has been revised over the years, but much of it still retains its original charm in look, and, in some ways, in music. However, when we move across the way to Future World East, we come to an area that barely looks like it did back in the 1980s. From the coming and going of the Wonders of Life to the rebranding (and rebuilding) of Horizons/Mission: Space to the conversion of World of Motion into Test Track (and then Test Track’s own refurbishment) to the long-standing Universe of Energy (with modified attraction inside), Future World East has changed in leaps and bounds! With whole pavilions modifying their purpose, the music has had to change too. We hear more “modern” instrumental arrangements in this area than we do in any other section of Walt Disney World. While most areas use previously composed music from movies or classical compositions, Future World has had to arrange pieces that make people really think about the future, but in less of a sci-fi sense than the futuristic sounds of Tomorrowland. So let’s open our ears and imagine taking a left after Spaceship Earth! First incarnation: The Universe of Energy pavilion boasts not one, but two of the more popular songs on the EPCOT Center soundtrack: “Energy (You Make the World Go ‘Round)” and “Universe of Energy.” While The Land pavilion boasted a folksy tune and Imagination had its whimsical song, the two Energy songs are very much a product of their time. Current incarnation: In 1996 the pavilion was reimagined and became Ellen’s Energy Adventure featuring Ellen DeGeneres. (Although the Universe of Energy sign still exists, you won’t find that name on a current park map.) To match her upbeat and comical attitude as she wandered through the story of energy with Bill Nye (the Science Guy), the music turned into a theme of comedic adventure. The loop played around the pavilion is pretty short, but is all based around that main theme. There’s a bit of a jungle/prehistoric vibe in some of the variations, to match the audio-animatronics inside. First incarnation: There was only one main incarnation of this pavilion, with a few minimal changes here and there. But I think, out of all the Future World pavilions, I rank this one as my favorite, partially because of the music (and mostly because of Cranium Command). As I stated in a previous article, this pavilion boasted some wonderful music. And best of all? Most of it can be searched and purchased with minimal effort! Any classic EPCOT Center music that doesn’t seem to fit with the norm is bound to be from Wonders of Life, which is why it holds such a special place in my heart. 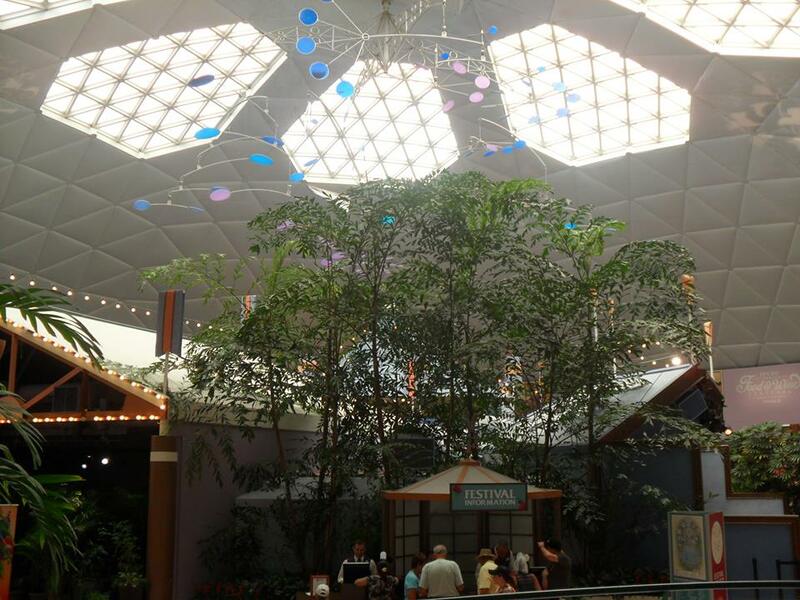 Current incarnation: The Wonders of Life is closed, but the pavilion is used for the Flower and Garden Festival in the spring, as well as the International Food and Wine Festival in the fall. The music heard inside is atmospheric music for the festivals, but not the loops that were formerly heard. First incarnation: Ah, Horizons: all shining and new…well, it used to be. The music of Horizons not only brought in the theme song (entitled “New Horizons”) but also inserted “There’s a Great Big Beautiful Tomorrow” from Carousel of Progress in Tomorrowland of Magic Kingdom park. This was due to the fact that it was intended to be a sequel to that attraction when it premiered in 1983 and feature some of the same characters. The “If we can dream it…” melody line is heard all throughout the attraction itself, most of the time with a spacey, ethereal synthesizer. The music loop around Horizons started very bombastically, and then transitioned into the “New Horizons” theme. 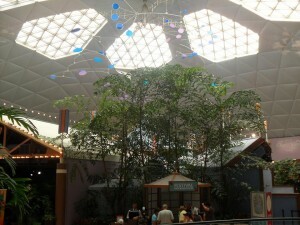 Unlike the interior music, the Horizons area music was very jovial and inviting. It’s no wonder it’s a favorite of many classic EPCOT Center fans. 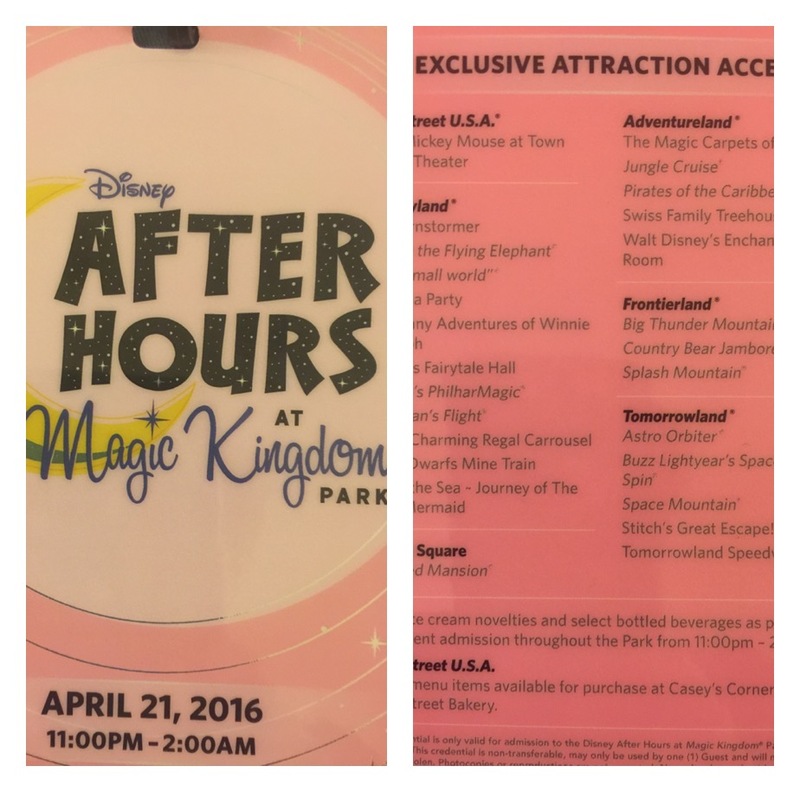 Want to listen to the attraction? Thanks to YouTube user Disney Dreaming again for the video! 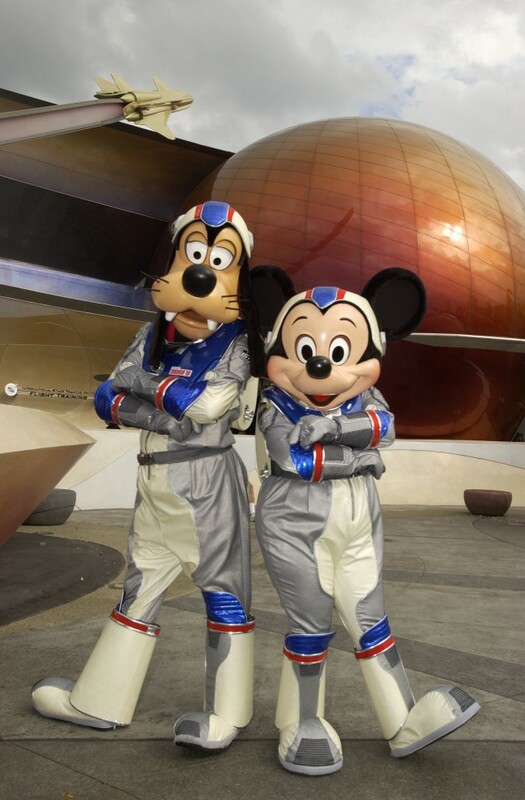 Current incarnation: The music of Mission: Space definitely has a modern style that is intended to make you look forward to space and the future. It was composed by Trevor Rabin (who composed that stellar suite for Remember the Titans). The song you hear after the attraction is “Destiny,” written by Cliff Masterson and performed by Louise Warren. First incarnation: This pavilion originally existed as World of Motion, and every single area of this attraction boasted a variation on the theme song “It’s Fun to be Free.” It was composed by Norman “Buddy” Baker with lyrics by Xavier “X” Atencio. There are two ways that this music is similar to “It’s a Small World”: from that original song there were dozens of variations written to match the area of the attraction in which it was playing, and it’s insanely catchy. If the entire ride ever comes up on your streaming music, be ready to hear the same song repeated in various forms for half an hour. However, the area music outside the attraction, while still containing versions of “It’s Fun to Be Free,” performs it in a much more subdued manner, and is much easier to listen to. Second incarnation: Test Track was a large step away from World of Motion. 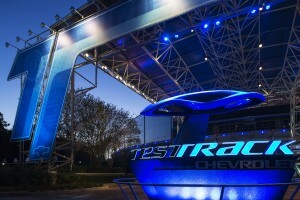 Where World of Motion reflected the history of transportation, Test Track (with its General Motors sponsorship) looked at current vehicles of today – notably, the automobile. The idea was that you were in a testing facility and would ride the vehicle as it went through its rigmarole of tests to make sure it was ready for driving. The “music” reflected this fact. As you wandered into the attraction and through the queue, the music that you heard were whimsical interpretations of the sounds that you’d hear as you went into a carmaking and testing facility. There were whirrings of machines, screeches of tires, and the occasional crashing of a vehicle. Current incarnation: Test Track is the first pavilion in Future World East to actually undergo a second revision, which it did in 2012. While the structure of Test Track remained the same, the testing facility theme was gone, replaced by a futuristic (dare I say, Tron-themed?) idea of vehicle design and testing. While the musical intention of both Mission: Space and Test Track (the current version) is a bit more futuristic in nature, I feel like Test Track’s music executes the idea better, and is far more catchy than the medley of themes woven into the area music of Mission: Space. The Test Track music was composed by Paul Leonard-Morgan, a British composer. The music of Future World East has really evolved over the years. While we are sad to not hear the familiar ’80s tunes in the theme parks anymore (unlike Future World West, much of the original music is no longer played), the music of Test Track keeps me optimistic that the music we’ll be hearing in Future World in the years to come is on the right track (and not just the Test Track). Which piece listed above is your favorite? Do you know any areas in the park where you can hear original Universe of Energy, Horizons, or World of Motion music? Have you checked out Checkfield yet for all your nostalgic Wonders of Life needs? Comment below!